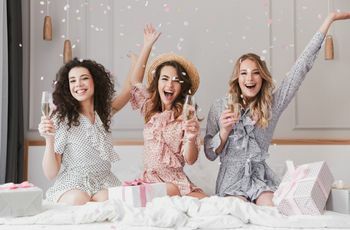 From figuring out bachelorette swag, to finding a location that won’t break the bank, we’ve created some guidelines on how to plan a bachelorette party. It’s time to plan the last fling before the ring—the bachelorette party! Not only is this a chance for you and your besties to have the ultimate girls’ weekend, but it will also be a trip that will be talked about for years to come (just as long as it’s not brought up during a wedding toast, please!). And while bachelorette party planning can be complicated, it's a great way for the bridesmaids to bond before the big day. Have you been assigned the task of planning the big bash (which is usually held about a month before the wedding)? 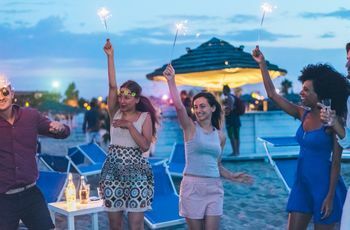 Before you start finalizing all the details, you’ll want to make sure the bachelorette party you plan is legendary. 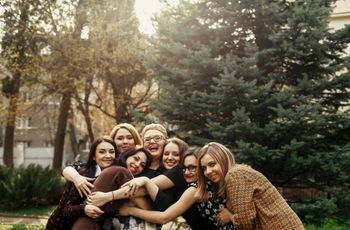 From figuring out where to find those silly colored wigs and other swag, to finding a location that won’t break the bank, we’ve created some guidelines on how to plan a bachelorette party. Just check them out below and start booking! One of the first things you’ll want to do before you start any planning a bachelorette party is to ask the bride what she has in mind. Figure out if she wants a relaxing spa trip or if she has her heart set on heading to a bustling city for the weekend. Go over these kind of ideas and topics right off the bat to ensure you will plan a trip she will love. Also, this is a great time to get an idea of who she wants to invite. Usually the bachelorette trip consists of the bridal party, close friends, and extended family of the bride-to-be. Make sure you get the names of everyone the bride would like to celebrate with, then move onto the logistics! After you’ve gotten a sense of what the bride is looking for and who she wants to invite, you’ll want to come up with set budget. Keep in mind that some people might not be able to spend as much money as others, so be open to finding a number that works for everyone and won’t leave people with empty pockets. One of the easiest ways to find a price point that works for everyone is to create a group text thread, a Facebook group, or another line of communication and see what everyone is willing to spend. Once you’ve all agreed on the number, you can start looking for a location and planning the accommodations. When you finally settle on a budget, you’ll want to find a weekend or time when everyone is available. The best way to ensure that a date will work for everyone is to start thinking about your options early. You’ll want to pick a date at least four months before the bachelorette party, so start early and nix dates that don’t work for people. If you’re noticing a weekend getaway isn’t working out, be open to planning a trip that is during the week. As long as you are flexible with date options, you’ll be able to come up with some kind of compromise and get everyone to mark their calendars. The next step in bachelorette party planning is finding a destination. Go over places that are in your budget and remember that some guests might not be able to afford traveling to a far away destination. If you need some help figuring out where you should go, don’t fret! Don’t feel pressured to plan an out-of-town trip if it’s not possible for everyone to attend. You can have just as much fun by staying in town or another nearby location. As long as everyone is able to make the trip, you’ll be sure to have a blast wherever you decide to host the big bash. Once you’ve finalized where you will be headed for the party, you’ll want to think about travel plans. 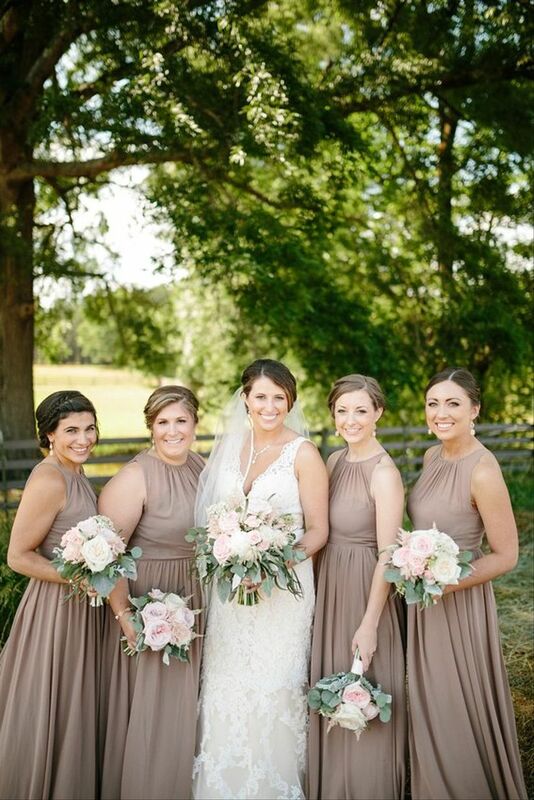 Find out where each bridesmaid will be traveling from and see if people can carpool together or get on the same flights. Traveling as a group is a fun way to kickstart the party before you even reach your destination. No road trip is complete without someone sitting shotgun singing along to throwback songs with you! 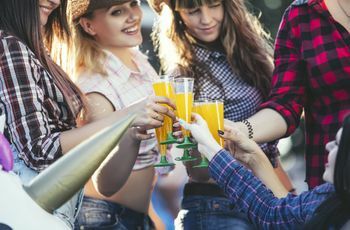 If you are planning on staying in town for the bach party, you’ll still want to make sure the other ‘maids know how they will be getting to the party destination and that you all book travel ASAP. This is the fun part of bachelorette party planning, creating a list of activities for you all to do over the weekend. Whether it’s attending a wine tasting at a winery or hitting up the hottest new bars, you’ll want to make sure whatever you choose suits the bride-to-be. When browsing for fun things to do around the city, think about what the bride likes to do in her spare time and what kind of activities she has discussed with you. 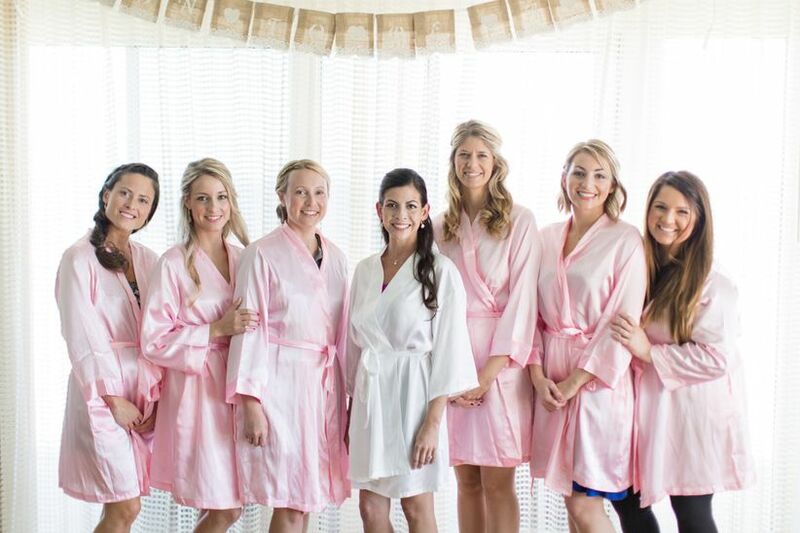 Get her excited by planning activities she might not get to do on a regular basis, like going to Drybar for a blowout or riding around town on a pedal pub.Just remember as you are planning out the weekend itinerary, that the bachelorette trip is after all a party for the bride! You’ll definitely want to stock up with bachelorette party decorations to really transform your party headquarters. Think sparkly streamers, balloons, and more! Decorating the hotel, vacation rental, or wherever you are staying can help amp up the party and really set the mood for the fun weekend ahead! Playing games before heading out for the night is a great way to break the ice and get the party started. 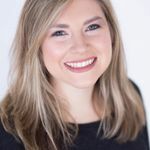 So make sure to plan sometime either right after getting ready or before heading to dinner and drinks to play a couple of silly bachelorette-themed party games. Some of our favorites include 20 Questions, the classic truth or dare or even a bachelorette scavenger hunt. There are a number of games that you can play that will definitely have everyone cracking up. Lastly, you will want to make sure to document the weekend with lots of photos! Create a personalized bachelorette hashtag the week before the trip, so you can post Instagrams and other photos with the tag. This is one of the best way to keep track of everyone’s photos because they will already be all in one place!